Acne is the most common skin disease. There can be many reasons of acne, it can be because of the increase in testosterone, dirt, it is also because of pores clogging and some people got them genetically. Face mask is the best choice and an amazing way to get acne free skin. Put these homemade face masks, try too keep you skin clean from dirt and soon and you will have acne free skin. Read our article on how to remove pimples (tips to get rid of acnies on face). . I am going to share some most effective homemade face masks which help you to get clear skin. Take a bowl add fuller earth, 1 pinch of turmeric powder and 1 tsp of rose water or lemon juice or you can use only water. add all of these ingredients and leave them from half an hour in fridge. Now put the paste on your face and wash it with cool water when it get dry. Take 2 tablets, 1 tsp of lemon juice and 2 tsp yogurt. Mix all of these ingredients and make paste. Now gently rub it on your face, let it on your skin for 15 minutes and then wash your face. 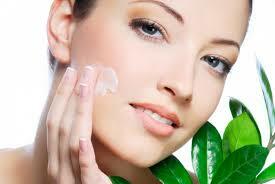 Salicylic acid in aspirin help to heal acne. Either cut tomato peaces and tub on your acnies and leave them for 15 minutes or you can make it's paste and then put on your face. Take 2 tomatoes and make it's paste you don't need water to in it, it is naturally very hydrated. Tomatoes are able to remove dead cells on your skin. Take one ripe banana, 1 tsp honey and few drops of lemon juice. Mix all of these ingredients and make a paste, apply the mask on your face and let it on your face for 15-20 minutes. You can use only the peel of banana rub it on your face and leave it for more than half an hour, and then wash your face with warm water. Mix 2 tsp of yogurt and 1/2 tsp of gram flour and put the mixture on your face. let it for 20 minutes on your skin. wash it when it get dry. Now here is a trick, gram flour in the mask will help you to get rid of oil and yogurt will help you to get acne free skin. Here i am going to share a trick, first wash your face with warm water or use warm cloths to open your pores and then apply the mask and when mask get dry wash your face with cold water in order to close your pores. so guys, if tried it out, do not forget to let us know about the result. I love reading your responses. Acne clean is a specially formulated herbal cream to treat acne and pimples. It contains ingredients from natural sources and enjoys a reputation of superior quality among our satisfied customers. Extracts from natural medicinal plants are incorporated which are effective against most skin diseases, especially acne and pimples. Acne clean cream is effective for people of all ages with mild, moderate and severe acne. Continued use has also proven beneficial for the daily exfoliating process. Great !!! This is so phenomenal!! !That is very impressive information! I love it. You really did a super job with the Skin Care! I use to do buy online Skin Care as its time saving. I accept your homemade remedies to clear the pimples on the face. In these remedies banana face mask is new to me. Your slick skin is not going to hold up. Your oil organs will keep creating sebum until your hormones level out or you roll out a couple of improvements throughout your life that might be at present claylovers multani mitti adding to your slick skin.